Love has always been the one thing that has remained constant in my life. I've struggled with self-control (chunky thighs and flabby arms, compliments of an overdose of brownies). I've struggled with faithfulness, occasionally questioning both my role and God’s role on Earth. Patience has always been out of the question as well, as I have the attention span of a caffeinated squirrel. I valued love more than any other Fruit of the Spirit (although I am in no way saying that the other ones are not as important). My sister-in-law recently told me her definition of love. I think love is one word with a plethora of meanings and intensities. I could “love” sushi and “love” my mom and dad. To me, loving sushi and my parents are two different types of love. The love I have for my parents is emotional and unconditional. My love for sushi is a more of a desire, pleasure, and impersonal. I would take a bullet for my parents, but not for my sushi (well, maybe some days). I love my friends and family, I love playing board games, I love listening to music, I love to cook, etc… These all show and prove a need in my life. They all provide me with happiness. The love I have for cooking is not intimate, though. Having love for your spouse is. The love of your favorite movie can’t compete with the love of your child. Love is a noun and a verb. I believe love is over-used, yet under-said. You will hear someone talk about how much they love popcorn, for example, but have a hard time telling someone close to them that they love them. The emotional connection is different. I think we need to take time out of each day to tell our loved ones “I love you." While I agree with her definition, it has taken me several years to realize that God is love. God's love exceeds our definition of love and is very hard for us to understand. We love our family unconditionally but God loves us more. I can’t even begin to grasp that idea because the love I have for people makes me feel like my heart will explode at any second. God’s heart- His love – is infinitely bigger than the love we have for those close to us. The Bible clearly tells us God is love. He understands it the best. He loves more than every person who ever lived, combined. God’s love is not based on His feelings or emotions. He doesn't love us because we're adorable or because we make Him feel good about Himself; He loves us because He is love. He created us to have a loving relationship with Him, and He sacrificed His own Son to repair that relationship. And when the Bible says that God is love and that God defines love, it doesn't mean that He defines it like the dictionary defines love. Or how we define love. It means that God is the very definition of love. There is no such thing as love without God. We cannot define love outside of knowing God. If you want to know true love, get to know God. He is ready to show you His love and He wants to teach you how to love others as He loves you. Samantha is the creator and writer of the blog, His Endless Love, an online community dedicated to sharing God’s love with the world. She is a freelance writer and egalitarian. She currently lives in the Midwest with her husband. Thank you for sharing with us, Samantha! Very well written! It's hard to grasp the concept of God's love from our human mind. His love isn't conditional because Ge is live so amazing! This was great! Love is very much an action but for God it is a state of being. There is nothing we can do that will make him stop loving us. I love that!! This is a great post! It is wonderfully detailed and impactful! Glad I popped by today from #TellHisStory! That verse in 1 John undoes me every time... what a miraculous and outstanding Love He has, and is, for us. Beautiful post! Blessings Ally and Samantha! Such a great post. I agree with everything you've said especially the fact that it's over-used and under said. Great post! 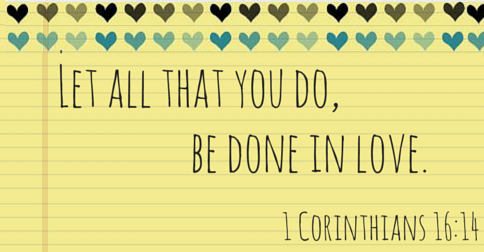 It's so important to remember that God is love and that we can't love without him! Stopping by from #reflectlinkup. Overwhelmed by His great love for us. Thank you for the reminder of this today! Heya, what a great post! 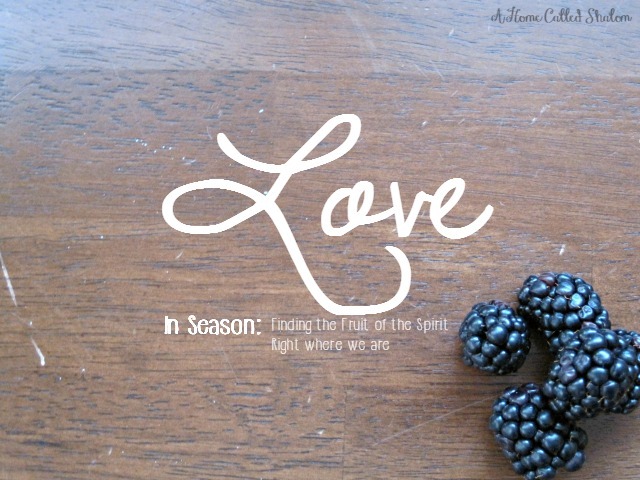 And a great coincidence, I am writing a Fruit of the Spirit series on my blog, as well! Look forward to reading more. Thanks for the reminder of the One Love that counts. Visiting you from Grace & Truth. Thanks for the reminders that all we do and say, think and speak should be from a heart of love. May we be carriers of His grace, glory and love!